Enhance your eyes with a professional tint on your lashes and brows. Your eyebrows frame your face so know you are in great hands and let our trained therapists shape your eyebrows to suit you. NEW!!! Eyebrow Henna! Longer lasting than tint, lasts up to 6 weeks on hair and 2 weeks on skin. 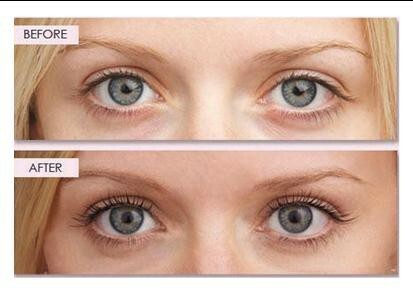 An example of our eyelash lift.